The Editors Intention is to add Further Links to Associates here. Using the Buttons named. Just hover and click. International is providing humanitarian service, of how 1.35 million Lions in 206 countries are able to provide grant funding and develope programs that improve lives around the world. (Yorkshire and North Derbyshire) Due to Restructuring of Lions in the UK ; A new website is due 2019.
in providing clean fresh water and improving sanitation to areas in third world countries which are deprived of these basic modern necessities. Medic Alert Home Page for charity providing personal information to First Responders on a tagged bracelet or necklace to a patient. Ideal for patients who are diabetic, suffer with a heart condition or heavily reliant on medication. Check out this web sight, then contact us. If you live or work in our District we will consider suppling the bracelet or necklace. If you live outside our area, we will forward your request to the Lions Club in that area. local charity we have supported since its early beginnings. The Carnival Committee work to promote Hornsea, raise funds for local charities and promote community spirit and fun. Site of charity providing information and help to Diabetes suffers. Home Page for Comic Relief "Red Nose Day"
We support this charity by collecting Foreign and British Stamps, bring them in to our Charity shop where we can parcel them up and send them to the RNIB in bulk. 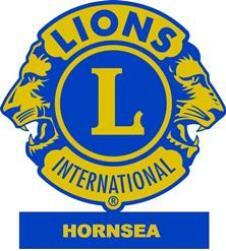 Fun Run Organised by Hornsea Rotary Club. Care Farm giving educational and therapeutic care and opportunity to young people with learning difficulties. ZANE a charity providing personalised means-tested care for desperate Zimbabwe pensioners, and funding on projects to facilitate the creation of sustainable communities. Charity in Partnership with the Lions Eye Health Program Working to Save Sight around the World. A local group we support, especially the "Kidz" who are able to increase self confidence,develop their own life skills and talent.Which feeds back into our community. The shows that HATS. produce are of a very high standard, better than some profesional shows I've seen. If you live in and around Hornsea get down to the Floral Hall and watch that next show. You won't be disappointed. Home page of our local Scout Group. Home Page of 298 (Hornsea)Squadron Air Training Corps.